One Edmonton man created social media accounts to help people find restaurants and grocery stores offering halal food in the city. Finding an Edmonton restaurant serving halal food was always a challenge for Sabeeh Farooqui. With a limited number of dishes to choose from, eating out with friends and family was almost impossible. "There was essentially zero halal options," he said. "We always flipped to the back of the menu to see what seafood options there were or vegetarian options." Farooqui wasn't alone in his struggle to find halal-friendly Western restaurants. There were smaller, mom and pop type restaurants but as many of his family members and friends discovered, there were still limited options. He decided he had to do something. In 2014, he created YegHalal, a Twitter account where he would post photos of halal food or names of restaurants selling halal dishes. At first, it was just his family and friends who would monitor the account. But what he quickly discovered was that there was a hunger for a listing of Edmonton restaurants for the halal conscious. Halal is an Arabic term that means "permitted" or "lawful" in Islam. For religious reasons, Muslims are allowed to consume only halal meat, said Farooqui. 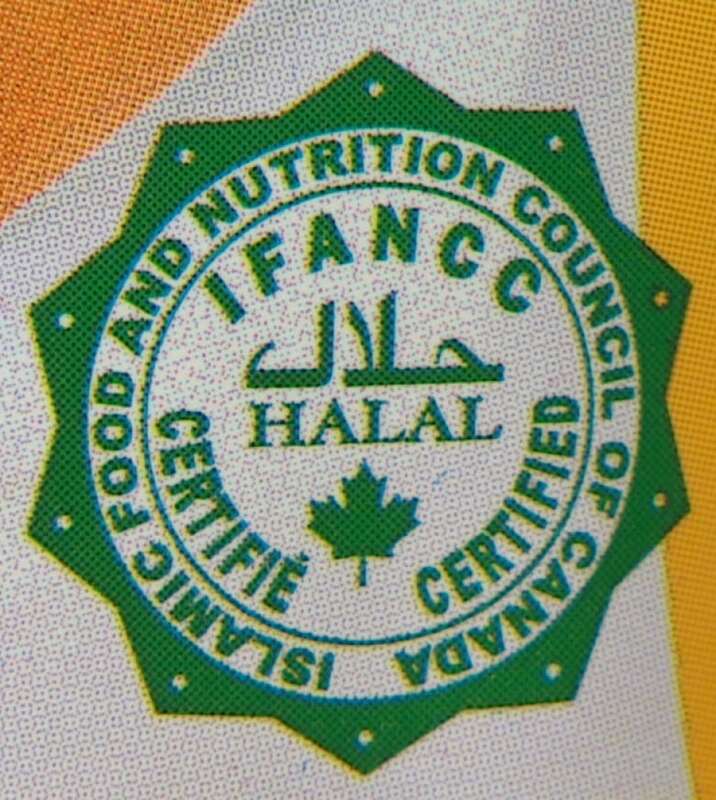 According to Alberta Agriculture and Forestry's website, halal "is both an umbrella term used in relationship to all food products, and a term that refers to a method of livestock slaughter consistent with Islamic rites." "When people find out they have halal options, a light bulb goes off. Now they're referring to YegHalal as their source to find out these places exist. I'm finding people want a directory to find out what's in their area," he said. Unlike food blogs, Farooqui — who is a chartered accountant for the provincial government by day — doesn't review the food at different halal restaurants. He simply shares photos of new dishes or describes new restaurants serving halal food with his followers on social media during his free time. He also takes the time to find halal-certified meat producers in the province. What he found is that many of the beef and chicken producers were already halal certified. To Farooqui's delight, many of those producers were also already selling their products to restaurants in Edmonton. But the restaurants weren't advertising their meals as halal on their menus. He began reaching out to those establishments and encouraged them to let customers know about their halal dishes. "The response has been really positive. From a restaurateur perspective, they're appreciative," he said. 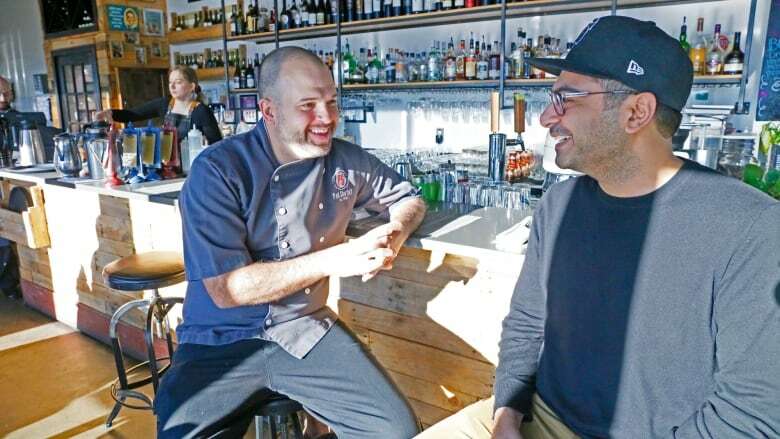 Workshop Eatery in southeast Edmonton has worked with YegHalal in promoting their halal dishes. Since doing so, owners have noticed an increase in requests for halal food and inquiries about their halal dishes. "We're happy to say we do have halal beef. It's been a nice opportunity for us to include the Muslim community," said Paul Shufelt, owner of Workshop Eatery. Shufelt said the food industry is changing, as customers become more knowledgeable about where their food comes from and how it is processed. It's a movement that translates into the products they use in their dishes and how they prepare their food. "I think over my career, I might have been asked once or twice a month [about halal dishes] 10 years ago. Now, we get a lot of phone calls asking if our beef is halal," he said. The growth in the halal food industry isn't unique to Edmonton. In Canada, halal food sales exceeded $1 billion in 2017 and "that will likely continue to grow rapidly," according to Alberta's Agriculture and Forestry department website. The provincial website on halal meat partially attributes this increase in demand to consumers demanding more when it comes to food options, including "curious millennials [who] are exploring food options, including halal." Many beef and poultry producers in Alberta already cater to a growing international market, said Farooqui. Halal meat isn't just for Muslims, said Farooqui. Respectful slaughter and animal welfare make halal meat attractive to many for non-religious reasons, said Farooqui. "The features of halal meat are becoming synonymous with where the beef industry, poultry industry is going towards anyways," he said. "It's about sustainable food, organic food, healthy and local. The benefit for us is those options are halal already. Now it's about getting the word out there, getting other restaurants to use those options and have a new customer base." 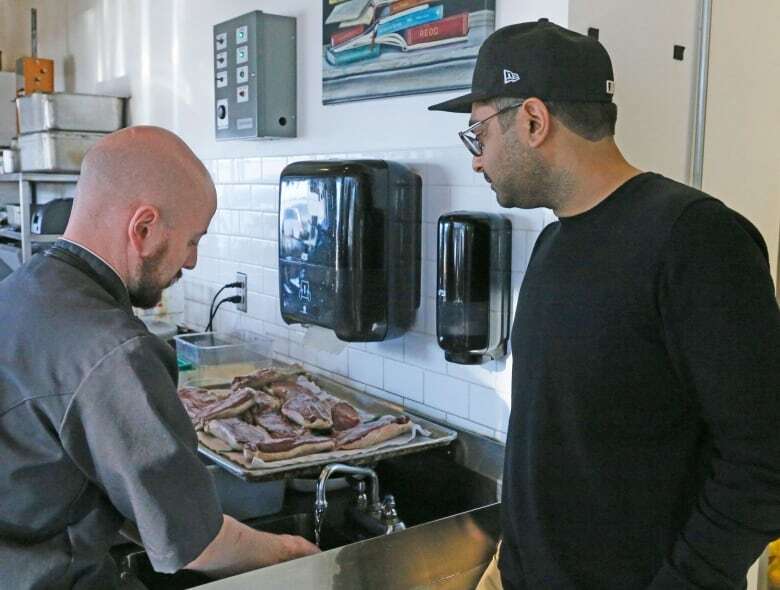 Farooqui hopes to capitalize on the growing demand for halal and plans to offer a detailed directory of restaurants and grocery stores in Edmonton, with the possibility of going province-wide. "Doesn't matter what cultural background we have, what religion it is. Food unites people," he said.